Have you heard of Five Guys Burgers and Fries? If not, then you probably aren’t from the East Coast, haven’t read one of the thousands of blog posts about Five Guys vs. In-N-Out, or haven’t seen one of the many new locations popping up in Southern California. 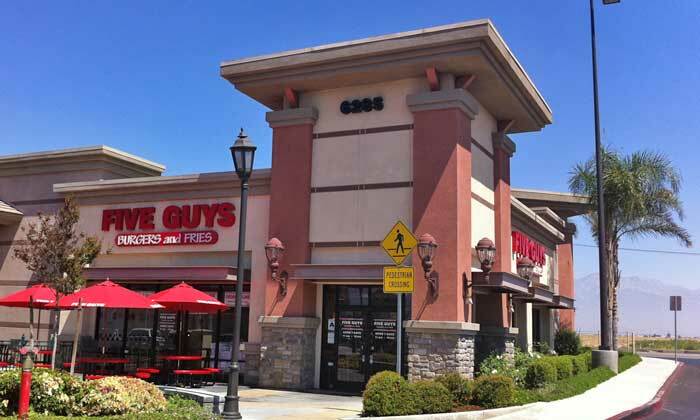 My sons and I tracked down the Five Guys closest to us, which is just off the 15 freeway at Limonite in Mira Loma. The first thing we noticed when we walked in the first time was the simple menu… burgers, dogs, fries, grilled cheese and drinks. 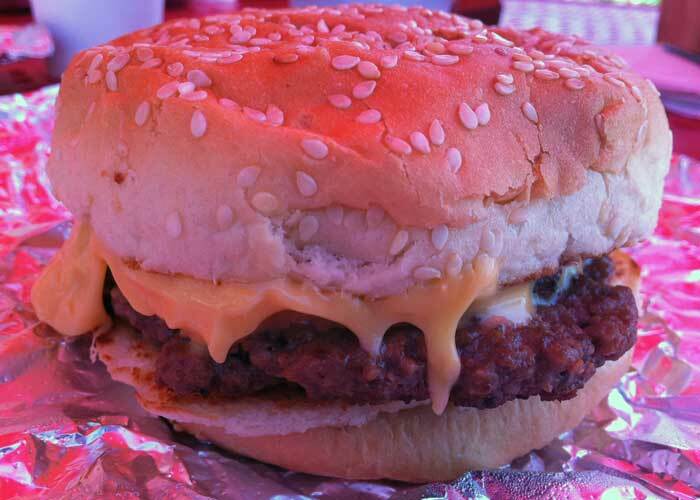 If you decide to try Five Guys, know that a regular burger has two patties. If you only want one patty, you need to ask for the little burger. Either way, Five Guys makes a good burger. 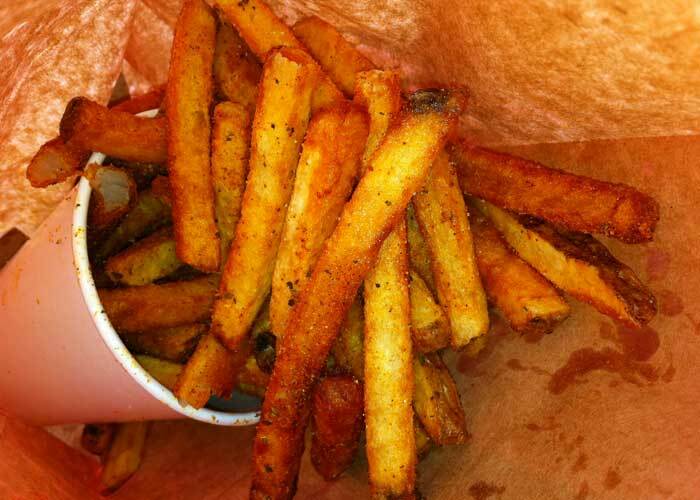 The fries come in two varieties: Five Guys style and Cajun. If you like spice, go for the Cajun fries. In addition to the normal burger toppings you would expect to find, Five Guys also offers other toppings, including grilled mushrooms, jalapeno peppers and hot sauce. I prefer my salad in a bowl, so I go for the plain cheeseburger. The cheeseburger doesn’t need anything else to taste good. 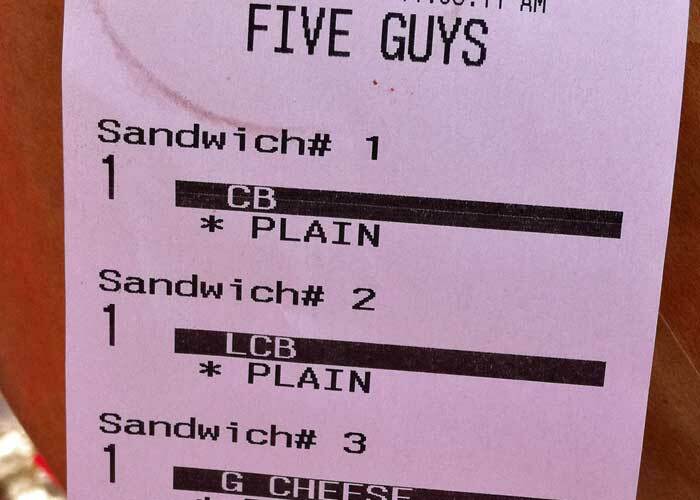 If you have to buy burgers for a group of people (as I do for a family of five), Five Guys also makes it easy to get the right burger to the right person. 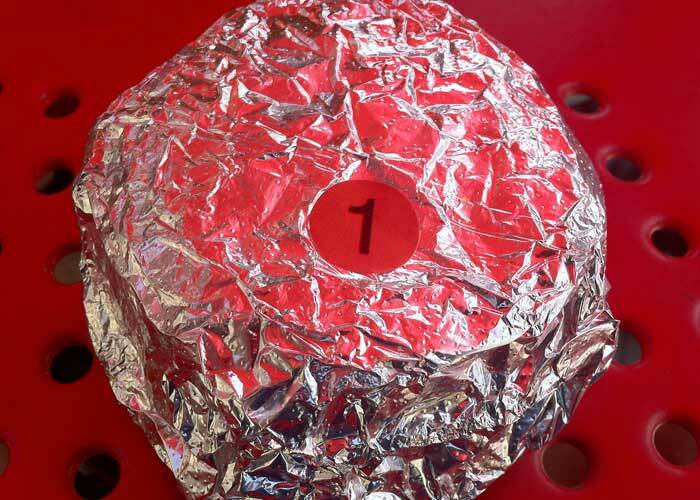 Each burger wrapper has a number that corresponds to your receipt, so you don’t have to open each one to find out what is on it. My opinion on the debate between In-N-Out and Five Guys? Five Guys. Victorville – 15655 Roy Rogers Dr.
Temecula – 40426 Winchester Rd.